Legislative requirements to reduce CO2 emissions by 2020 have resulted in significant efforts by car manufacturers to explore various methods of pollution abatement. One of the most effective ways found so far is by shortening the cylinder stroke and downsizing the engine. This new engine then needs to be boosted, or turbocharged, to create the full and original load torque. Turbocharging has been and will continue to be a key component to the new technologies that will make a positive difference in the next-generation engines of years to come. 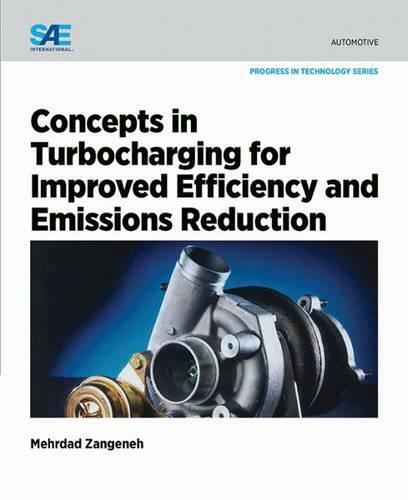 Concepts in Turbocharging for Improved Efficiency and Emissions Reduction explores the many ways that turbocharging will deliver concrete results in meeting the new realities of sustainable, green transportation. This collection of very focused technical papers, selected by Mehrdad Zangeneh, PhD., a professor of thermo-fluids at University College in London, provides an assessment of several novel designs intended to improve fuel consumption and cap emissions, while maintaining torque at all speeds.